LEXINGTON, Ky. (AP) — PJ Washington set a career high with 25 points and grabbed a season-best seven rebounds, Tyler Herro added 18 points and No. 10 Kentucky rolled over North Dakota. Herro shot 7 of 12 to top his 14-point debut against Duke, and Kentucky shot 53 percent in the opening game of the Ohio Valley Hardwood Showcase. 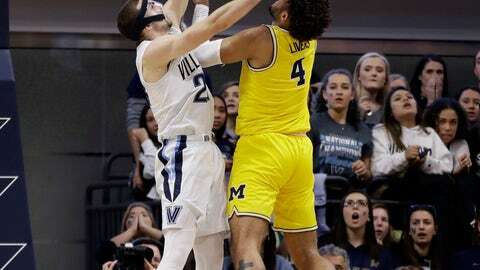 ANN ARBOR, Mich. (AP) — Cassius Winston scored 14 of his 23 points in the opening minutes of the second half, bouncing back from a rough start to help No. 11 Michigan State beat Louisiana-Monroe. BLOOMINGTON, Ind. (AP) — Romeo Langford scored 22 points, Evan Fitzner added 16 and Indiana locked down on defense to beat No. 24 Marquette. Miller challenged his defense to match its intensity and passion from Indian’s first two wins, and the Hoosiers looked even better against Marquette’s usually potent offense. Indiana forced four turnovers in the first 2½ minutes, drew foul after foul and converted the miscues into points. The opening flurry gave Indiana a 19-4 lead, and Marquette never recovered.